Fireplace Decorating: Hope Your Mother's Day Was Awesome! Hope Your Mother's Day Was Awesome! Just wanted to drop a quick blog in today to wish all you amazing mother's a fine and Happy Mother's Day. This is a picture of my six year old James and I this morning. 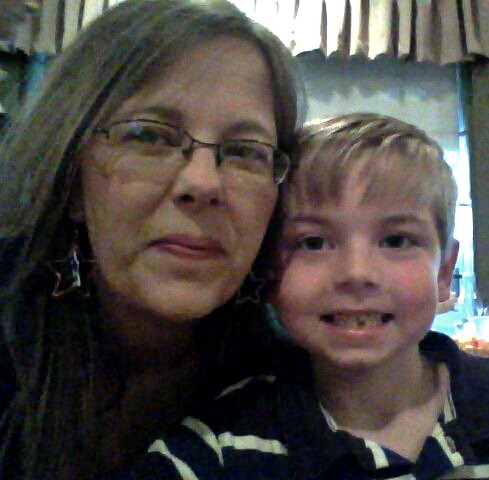 He took his mother and Nana and Aunt Tamie out for breakfast at Cracker Barrel. WOW did we have a long line to wait in and we got there super early! 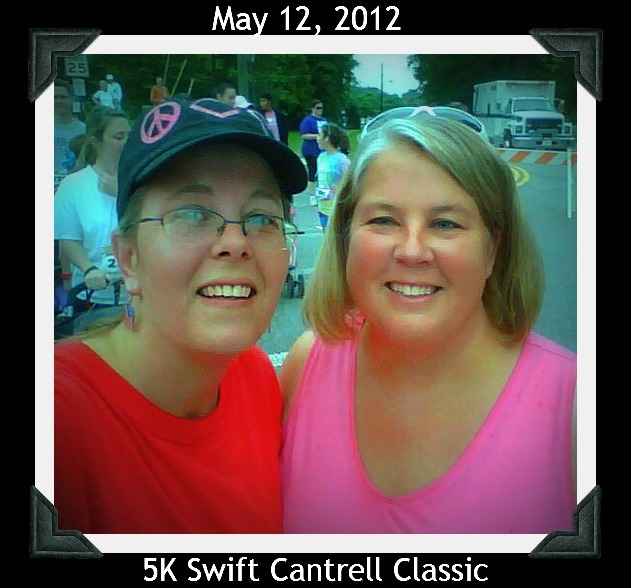 Yesterday my sister Tamie who is now down 40lbs in a little over 5 months and I ran the Swift Cantrell 5k Classic in Downtown Kennesaw, GA. She totally out did herself and finished in a record time for her of 46:22 and I beat her by barely 3 minutes. 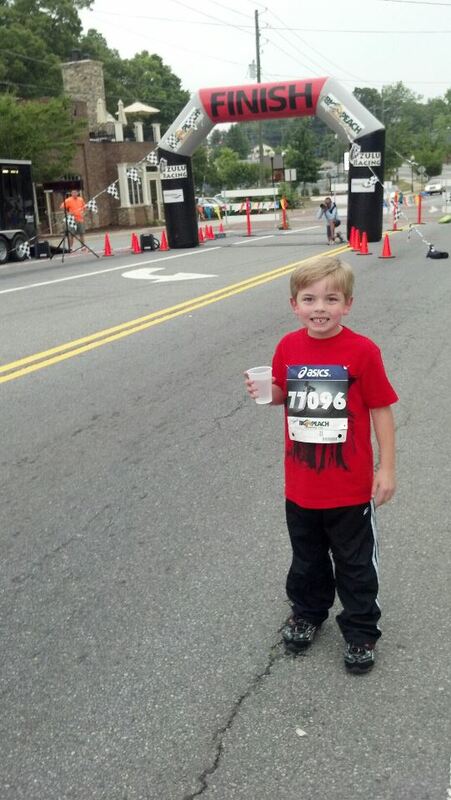 My little guy decided he wanted to run the 1 mile fun run so I registered him and boy did he keep mommy on her toes! That child ran a mile in under 11 minutes and never stopped once. I tried to keep up with him but sadly he stomped my booty as we started up the hill. The last leg of the 1 mile is up and down a hill about a quarter of a mile. Here he is and man was his mommy proud. 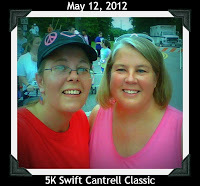 I enjoyed having a nice weekend but I am so sore everywhere! I should have trained a little bit sooner then I actually did this time. Be thankful for your mothers today and every day. May you all have a most wonderful week.